Former Montana Gov. Brian Schweitzer on Thursday praised Democratic congressional hopeful Rob Quist as a political outsider and, it appears, endorsed the singer-songwriter in his bid to fill the seat being vacated by Rep. Ryan Zinke. 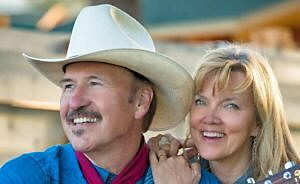 Quist, best known for his role in the Mission Mountain Wood Band, announced his intention last week to seek the Montana Democratic Party’s nomination to replace Zinke, a Republican who has been nominated by President-elect Donald Trump to serve as U.S. Secretary of Interior. Quist picked up an apparent endorsement Thursday from Schweitzer, who posted his support for Quist on his Facebook page. Quist has posted a number of platforms on his campaign page, saying public lands must be protected for future generations and that new technologies must be explored as the nation pursues a green energy future. Quist couldn’t be immediately reached for comment. Facebook also had rumors about an endorsement from Pat and Carol Williams, often referred to as the silent leaders of the Montana Democratic Party. On Thursday, however, Carol Williams said they have no plan to endorse a candidate.